Two days down. The Undergraduate Entrepreneurship Panel featured three great speakers and the Entrepreneurship Mixer at Tyler's drew quite a crowd. 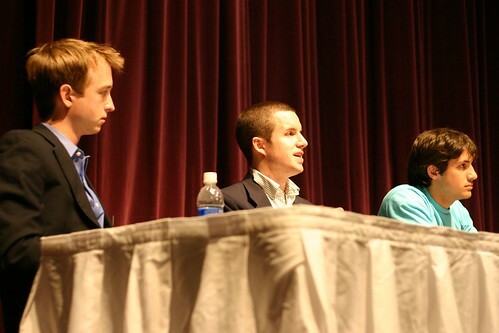 The three provided valuable insight into their experiences founding and running start-up companies while students, fielding questions about protecting ideas, NOT writing a business plan (at least initially), maintaining passion and energy when growing the company, and how Duke prepared them for their current leadership roles. 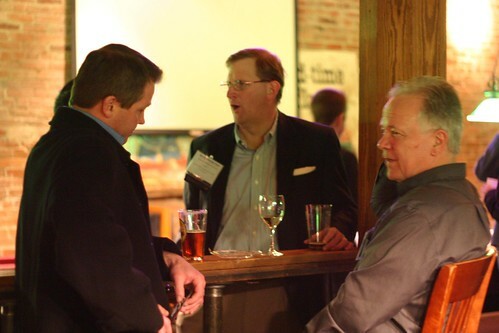 The Entrepreneurship Mixer was held at Tyler's Taproom at the American Tobacco Complex in Downtown Durham. 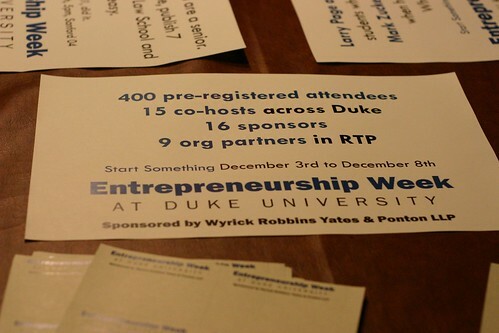 Week attendees snacked on finger-food, had a few drinks, and had even more laughs while chatting about business, Duke, the Triangle, the eWeek at Duke events, and more. 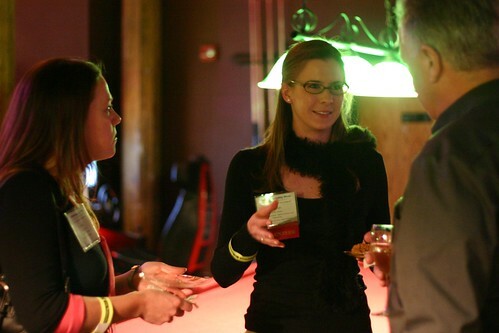 Tomorrow is a big day full of events - the High School Pitch Event, the MBA Entrepreneurship Panel, Venture Capital Speed Dating, and the Keynote Speaker, Ernest Mario, PhD. Good site, This implies the people inside the extra created nations UN organization square measure instructed and talented; they by exploitation their aptitudes, data and website site the things of less value the things of extra cost. This thing eventually makes you terrible. However, it not terrible, it is a raising news. By reaching us you can get new considerations in your homework so when your instructor check it edubirdie.com then you get appreciation. The free site for the roblox robux game to play online is http://rbxgenerator.com/. As to get free robux or to generate free robux then use robux generator as well as the robux hack for free.